An X-ray creates images of your bones and internal organs. X-rays work by sending small amounts of radiation through the body part being imaged. Cooley Dickinson Health Care provides diagnostic X-ray services to both adults and children, performed in response to a physician’s order. 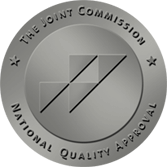 Our radiologists and technologists are committed to providing the highest quality radiology exams to meet the needs of patients and physicians. Our technologists are well-trained and teach technology students from Holyoke Community College who receive their clinical training in our department. Their training programs create an atmosphere which continually promotes learning and the critical evaluation of what we do. Our staff provides coverage 24 hours a day/7 days a week. Other sites, including Atwood and our Amherst facility, offer additional diagnostic services. We can image the following body parts on both an inpatient and outpatient basis. (All outpatient services require a prior written order from the patient’s physician). In all cases, we use the lowest radiation level possible and use digital/computer imaging to maximize patient safety. To request copies of your radiology & imaging studies, contact the Cooley Dickinson Film Library at 413-582-2467.